Your privacy is important to us. 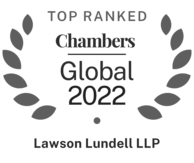 Lawson Lundell LLP is committed to maintaining the confidentiality, security and accuracy of your personal information. The Site includes links to other internet sites or resources and business operated by other persons (collectively called “Other Sites”). Lawson Lundell has no responsibility or liability for, or control over, Other Sites, their business, goods, services, or content. We urge you to find out the privacy policies of these Other Sites and advise you that your dealings with the owners and operators of the Other Sites are at your own risk. Posting on a blog that is hosted by Lawson Lundell. You may also provide Personal Information when you open a client file or work with Lawson Lundell or if you register for a legal information session hosted by Lawson Lundell. In those situations Lawson Lundell will rely on either express or implied consent as is appropriate in the circumstances, to permit us to use your Personal Information. As permitted by applicable privacy legislation, we reserve the right to use or disclose your Personal Information without your knowledge or consent where we are permitted or required to do so by applicable law, regulation or by applicable rules of professional conduct governing the legal profession. If you provide Lawson Lundell with your Personal Information we will use it for the purpose for which it was collected. If your Personal Information was provided through the Site we will use it to communicate with you, respond to your request for information, to ensure proper functioning of our Site or to review the effectiveness and usefulness of our Site. If you provide your Personal Information in relation to a file or request for legal services we will use that Personal Information to communicate with you, provide you legal services and meet any applicable legal requirements such as service requirements. If you provide your Personal Information in respect of a legal information session or other marketing initiative, we will use your Personal Information to communicate with you about a specific or future event or initiative that may be of interest to you or that may provide you with information relevant to your relationship with the firm. Any information that you transmit to Lawson Lundell through the Site may not be secure, may not be treated as confidential and is not protected by solicitor-client privilege. We will collect your name, address, telephone number, email address and any additional details you choose to provide to us if you complete the form located in the subscription area of our Site in order to receive newsletters or promotional material. We will use this Personal Information solely for the purposes of including your information in our database and in our mailing list in order to provide you with the requested information and to invite you to upcoming events that may be of interest to you and to respond to any specific request that you have made. 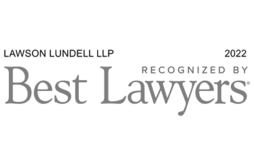 While Lawson Lundell takes appropriate safeguards with Personal Information, no Site or physical protection of Personal Information can be completely secure. Therefore you should not send confidential or sensitive information by the internet or by email unless you take appropriate precautions such as encryption. Subject to the exceptions set out in applicable law, including where required by solicitor-client privilege, we will provide you with access to any of your Personal Information that we have collected, used or disclosed upon written request. 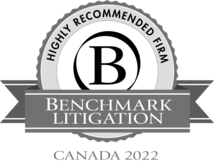 We will also advise you to whom that Personal Information has been disclosed, except where we are permitted or required not to do so by applicable law.